How does a small town woman from British Columbia become involved in one of the most talked about prophecies on the planet today? Learn how her life was completely changed after an encounter on a lonely highway with Tall Blond Aliens in 1988. Miriam has embarked into a world of secret governments, clones, Russian psychic army recruiters, the ancient Hopi people, and alien encounters. The truth that aliens exist is only the beginning. Learn how they are connected to our world, to humanity, and why they are contacting the people of earth today. Miriam will share the alien’s warnings about a possible future in which our existence as a species is at risk. Learn where the safe lands will be in the end times and why the alien’s messages are important to all of us. Miriam is a grounded individual speaking of alien contact with balance and wisdom. 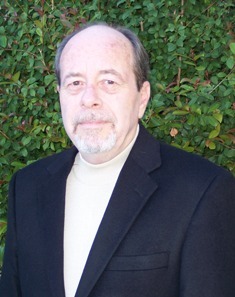 Dr.Michael E. Salla, is a pioneer in the development of 'Exopolitics', the political study of the key actors, institutions and processes associated with extraterrestrial life. His interest in exopolitics evolved out of his investigation of the sources of international conflict and its relationship to an extraterrestrial presence that is not acknowledged to the general public, elected officials or even senior military officials. His groundbreaking Exopolitics: Political Implications of the Extraterrestrial Presence (Dandelion Books, 2004) was the first published book on exopolitics and explained the political implications of extraterrestrial life. His more recent, Exposing U.S. Government Policies on Extraterrestrial Life (Exopolitics Institute, 2009) takes exopolitics to a new level of sophistication by revealing how the world's most powerful nation secretly manages information concerning extraterrestrial life and technology. Dedicating more than 90,000 hours over a span of 15 years, Debra and Dru are pleased to unveil their serial publication titled: Phase Transition... The Philadelphia Experiment. Investigating the circumstances surrounding the allegations of an experiment in invisibility and teleportation, both are committed to resolve this decades old mystery once and for all. Disappointed with prior reporting and attempts to settle this case, including the course in which this debate has gone, Dru and Debra are bent on changing both its scope and tone. Utilizing critical thinking skills supported by credible documentation—since released by the United States military—you'll be launched onto a fast track of an engaging narrative grounded in impeccable research. To that end, their evidence will prove, beyond all doubt that, the alleged naval experiment in invisibility and teleportation involving the USS Eldridge did actually take place. Dru retired from the United States Marine Corps after 30 years of honorable service to his much-loved Country. He held senior enlisted career positions in material management, inventory control, and financial accounting. For over half of his military career, Dru had been hand selected for special duty as a military systems analyst tasked with evaluating and reporting on the efficiency and combat readiness of Marine Corps units worldwide. Since his retirement, Dru had applied his exceptional skills as a military analyst towards the study of World War II Naval history and the rumors surrounding this amazing secret account. As a student of naval history, Dru's military experience and ability to process large amounts of specialized information has been an advantage in tapping into a gateway of new knowledge. 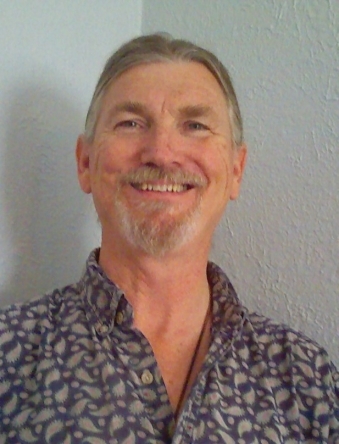 Jeff Baker is a Conduit and an Empathic Healer. He is often referred to as a psychic or medium or medical intuitive. These are all just terms that characterize a giftedness that people find hard to describe. He prefers to just to be known as a person who is a conduit for healing in all the services that he offers. Although his gifts lay in almost all of these “esoteric” areas, Jeff feels that the work he does is grounded in Spirituality and is therefore practically applicable on a real and reasoned human level. And as a conduit, he prefers to not take credit for the work he does but he will say, “I am part of it for sure, but it is innate faith in yourself and what I do that makes the marriage work”. For that reason Jeff does not take on every case that is submitted and prefers to help those that he can’t by training them to be their own healers! He believes that vulnerability in life is empowerment and not a weakness and that everyone is ultimately their own healer. Jeff uses his gifts- and shares them -through holding satsangs (see services page), and personal development seminars, whether addressing dis-ease or spirituality or addiction or any topic where his guidance is needed. As an Empath, Jeff feels what his clients are going through. He has worked with many different diseases. He has worked with many types of Cancer, Diabetes 1 and 2, HIV and AIDS, COPD, ALS, deformities, Adrenal Burnout and Kidney Failure, Chronic Fatigue Syndrome, Herpes, many varieties of brain disorders and diseases, Crohn's Disease, Lyme, Food Allergies, Depression, Anxiety, Thyroid and Endocrine issues, Hormonal issues, Glandular disorders, Vascular Dementia, Astigmatism and other eye and sight issues, Hearing Loss, Nerve Damage, Parkinson’s Disease, Mental Health Issues and many more. In theater, Helen has starred in London’s West End and on Broadway in New York. As a solo concert artist, she has played at Carnegie Hall and Lincoln Center in New York, as well as the Royal Albert Hall and the Palladium in London. Helen was also the first western female performer invited to sing in the People’s Republic of China. In film, her starring role in Disney’s Pete’s Dragon continues to delight the younger generation, while the lyrics she penned for her feminist anthem “I Am Woman” are now included in Modern American History high school textbooks. Besides the compilation, The Woman I Am: The Definitive Collection, all 12 of Helen’s original studio albums for Capitol are now available for digital download worldwide. Her best-selling memoir The Woman I Am (Tarcher/Penguin), reveals that at the height of her career, Helen’s world was shattered by the death of both her parents and, simultaneously, the news that she had a rare and incurable disease, A riveting, frank and ultimately brave memoir, she recounts the emotional highs and lows that have shaped her life as an artist and as a complex woman, with a rich inner life sustained by a strong spiritual faith. 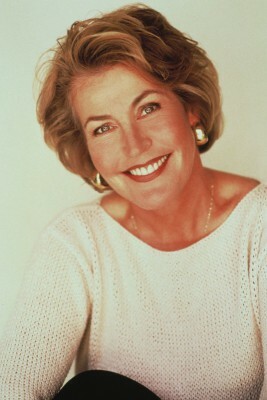 Helen retired from live performance in 2002 and practiced as a clinical hypnotherapist and motivational speaker in her native Australia for ten years. But after singing a duet with her sister at her sister’s 80th birthday party, Helen decided to come out of retirement in July, 2012 and return to the stage where, in addition to a selection of her hits, she now treats audiences to songs from her vast catalog she had never before performed live. Maggid ben Yoseif is a retired career daily newspaper editor turned theologian, spiritual seeker and Torah teacher. He is an independent and self-supported Native American minister and intertribal elder associated with the Sundance warriors of the Membreno Apache and is past-Ambassador-at-large for the Central Band of the Cherokee (2010-2011). He began his career as a sportswriter at the Houma Daily Courier (Houma, La.) and while completing journalism school at Louisiana State, for the Baton Rouge Morning Advocate. He moved on to covering urban affairs for the Vicksburg Evening Post (Vicksburg, Ms.), ran the state desk and assisted the city desk at the Monroe News-Star World (Monroe, La. 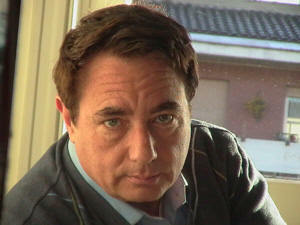 ), and became managing editor and executive editor of the Daily Iberian (New Iberia, La.). For editions published during his tenure as executive editor at the Iberian, the 15,000 circulation daily was brought from obscurity and named the best small daily under 40,000 circulation in the State of Louisiana by the Louisiana Press Association. This was in head-to-head competition with larger dailies with more resources owned by the New York Times and Gannett. In 1982, while editor at the Iberian he had an experience with the Light of God that he said, "scared the bee-Jeezuz out of me and about nine reporters and section editors who witnessed it," and led to his attending seminary. He completed all but the required systematic theology courses at the ORU Graduate School of Theology in Tulsa, OK., -- forbidden by the same Light to take those courses -- and then moved to the Middle East in 1987. Over a 14-year period, he worked six years full-time in the Israeli news media in Jerusalem and the then-Israeli-administered West Bank of the Hashemite Kingdom of Jordan (biblically Judea-Samaria). 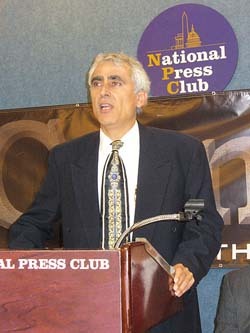 He was the chief news writer and features producer for Middle East Television, headquartered in Marjahoun, S. Lebanon, covering Iraqi President Saddam Hussein's efforts to rebuild ancient Babylon, the last year of the Iraq-Iran Persian Gulf War, the cease fire that united Shi'a and Sunni against America and the Israeli-Lebanon conflict. When METV's English news, which had been named the most comprehensive and unbiased media outlet in the entire Middle East, was suddenly discontinued by owner Pat Robertson and the staff fired, he was hired the same day his job ended by The Jerusalem Post. At the Post, he was a pagination design editor, assistant special sections editor, relief religion writer and columnist. A column he published in the Post entitled, "The Speech Nobody Heard in Madrid," attracted him to the attention of several Jerusalem rabbis who allowed him to study Torah and Halachah as a non-Jew in their houses of study. Earlier, while at METV, he had studied Koran with a Moslem imam in Beit Phage as a condition of living in the all-Moslem East Jerusalem village. His ministry there was to simply tell the Palestinian population that God was "bringing home the children of Israel to reunite with the children of Judah." His training in Hebrew and Aramaic Biblical exegesis, Talmud and Koran has led to several innovative proposals attempting to reconcile and dovetail the theologies of all three faiths. He also has promoted the Zechariah Plan, (the biblical state for the Palestinian people in the Gaza and regions contiguous including parts of the fertile Sh'felah valley) and the Return of the House of Joseph. 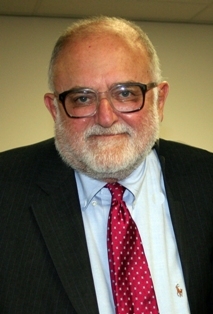 In 2001, he was exiled from Israel after three political arrests and imprisonment in which he was never charged with a crime and not allowed contact with the U.S. Consul for the first week of his incarceration in violation of the treaty between Israel and the United States and his rights as an American citizen. Rather than comply with orders for his release from the highest level of the Sharon government's cabinet, the Israeli Secret Police instead transferred him to Ma'asiyahu, Israel's highest security prison, where he was incarcerated with Islamic fundamentalists who had "overstayed their visas." In an unprecedented move with the support of Israeli Interior minister Eli Yishai, and then Prime Minister Ariel Sharon, he won his release upon the condition that he would leave Israel voluntarily and not return until the message of the Return of the House of Joseph and the biblical Palestinian state he proposes, "were no longer considered a threat to Israeli national security." After his release from Ma'asiyahu, he was given smichah (akin to ordination) as a "maggid," by his mentor and friend of 14 years, the Rebbe Shani Dor, who is a member of the Revived Jerusalem Sanhedrin Court. He was charged with the duties of a mokhiah (someone who resolves doctrinal disputes with historical grammatical exegesis). Today, Maggid ben Yoseif, mixed Cherokee and a great-great-great grandson of William Griffin, a member of the Cherokee National Council at Red Clay, TN., before the 1830s Removal, lives among the Membreno Apache in the southwestern Colorado Rockies where he is considered a spiritual elder and "gatekeeper." He is a Torah teacher assisting the Membreno with their vision of uniting Native tribes and restoring Native ceremonies. In the fall of 2009, Chief Joe Sittingowl White, principal chief of the Central Band Cherokee, invited ben Yoseif to serve his Tsa-la-gi (Cherokee) people as one of the 13 Equahiyi-Wasi (EH-KWAH-HE-YEE WAH-SEE). With the help of Creator, this Abraham-Moses society is researching Native American origins, prophecy and spirituality and specifically their Hebrew ties. After presenting Apache demands to the George W. Bush White House that the skulls of Geronimo and other Apache be returned in a sacred manner "before the curse grows much worse", he was adopted as an elder by the Sundance warrior lodge of the Membreno Apache. He is "keeper of the gate" at Eldersgate, American Indian Council., in SW Colorado at the eastern extremity of the Four Corners region anciently known as "Aztlan." During an exchange of gifts at his first meeting with Membreno spiritual leader Jimmy Tenrivers Atencio, he was gifted with his medicine from the land of the Aztecs. In 2004, he was asked by the Bear Clan elder Abe Walkingbear Sanchez, of the Zuni nation, who along with Tenrivers helped ben Yoseif envision Eldersgate, to serve on the board of directors of Turtletribe and begin a working version of the turtletribe.org website. He has also served as an ex-officio board member of Iglesia de Aztlan. His long-standing interest in Native American affairs stems from moderating a debate between representatives of the American Indian Movement and the Bureau of Indian Affairs as a news editor on the campus daily at Louisiana State University in 1973. Singer - Singing Sensation - Susan Boyle - Britain's Got Talent Singer Susan Boyle - Britain's Got Talent singing sensation contestant. 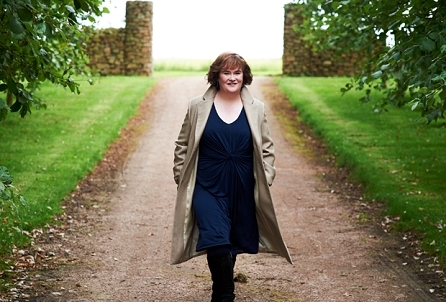 Susan Magdalane Boyle born 1 April 1961 is a Scottish singer who came to international public attention when she appeared as a contestant on the TV programme Britain's Got Talent on 11 April 2009, singing "I Dreamed a Dream" from Les Misérables. Her first album was released in November 2009 and debuted as the number one best-selling album on charts around the globe. Global interest in Boyle was triggered by the contrast between her powerful mezzo-soprano voice and her plain appearance on stage. The juxtaposition of the audience's first impression of her, with the standing ovation she received during and after her performance, led to an international media and Internet response. Within nine days of the audition, videos of Boyle—from the show, various interviews and her 1999 rendition of "Cry Me a River"—had been watched over 100 million times. Her audition video has been viewed on the internet several hundred million times. Despite the sustained media interest she later finished in second place in the final of the show behind dance troupe Diversity. A Massachusetts law school dean that lost money invested with swindler Bernard Madoff said that the Securities and Exchange Commission (SEC) was “willfully, horribly negligent” in failing to monitor his operation. Equally bad, says Velvel, the SEC was responsible for a lot of people being sucked into Madoff in the first place, because in 1992 it publicly announced that there was no fraud. 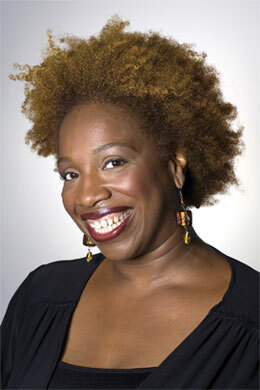 Lisa Nichols is a best-selling author, a popular public speaker, a powerful coach, and a charismatic teacher! Lisa Nichols has reached millions, both nationally and internationally with her powerful message of empowerment, service, excellence & gratitude.. In addition, Lisa is the founder of Motivating the Masses and CEO of Motivating the Teen Spirit, LLC. Her transformational workshops have impacted the lives of over 210 thousand teens and over 1 million adults. Lisa has been honored with many awards in recognition for her empowering work, including the Humanitarian Award from South Africa, the Ambassador of Good Will Award, Emotional literacy award, The Legoland Foundation’s Heart of Learning Award. The Mayor of Henderson, Nevada has proclaimed November 20th as Motivating the Teen Spirit Day. And recently the Mayor of Houston, Texas proclaimed May 9th as Lisa Nichols day for her dedication to service, philanthropy and healing. Lisa is a dynamic speaker with an extraordinary story and a tremendous ability to touch people’s hearts and souls. She is a master at accomplishing unfathomable goals and teaching others to do the same. Lisa Nichols has transformed her life from struggling single mom to a motivational millionaire entrepreneur, and she has dedicated her life to teaching others how to do the same. Carla L. Rueckert (McCarty) was born in 1943 in Lake Forest, Illinois. 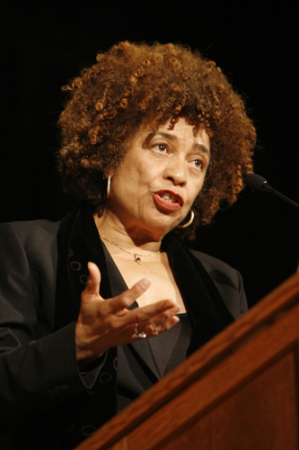 She completed undergraduate studies in English Literature at the University of Louisville in 1966 and master’s degree studies in Library Service in 1971. She served as librarian and bibliographer to college and school libraries for six years. She was a meditator with the group Don started in early 1962, and became partners with Don in L/L Research in 1968. In 1970, she turned full-time to assisting Don with his research. She read and abstracted books and periodicals, and did correspondence and writing for Don. In 1974, she began channeling. She continues these activities. In 1987, she married Jim McCarty. She enjoys corresponding with a wide variety of wanderers, readers and spiritual seekers of all kinds, as well as reading romances, fantasy, sci-fi and mysteries, gardening, cooking and writing. She continues her channeling efforts with non-trance Saturday meditation meetings. On behalf of L/L Research’s Metaphysical Library, she has been collecting books, tapes and other material in the areas of metaphysical and UFO research since 1970, and invites those who are disposing of metaphysically oriented materials to remember that L/L Research is glad to receive such donations. She lives with three cats, Jim, and GLB in Louisville, Kentucky. 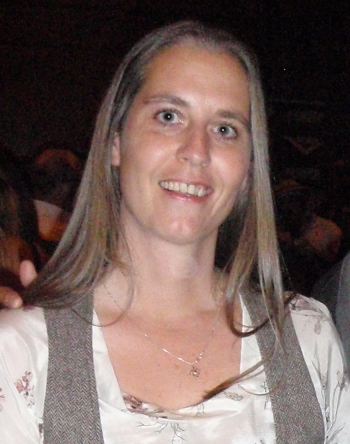 Carla has garnered the reputation as one of the most accurate and high integrity channelers on the planet. Her 5 books of the Ra channelings have touched readers around the globe. Her work is not ordinary New Age love and light. Her Source describes itself as a group soul by the name of Ra (and Q'uo), composed of millions of individual souls who have graduated from this realm (gotten off the wheel of reincarnation) and serve as a helper and guide for planetary populations who are still experiencing 3D evolutionary patterns, helping them (those who ask) in their own "graduation" process. George Galloway (born 16 August 1954) is a British politician, author, journalist, and broadcaster, and the Respect Member of Parliament (MP) for Bradford West. He was previously an MP for the Labour Party, for Glasgow Hillhead and then its successor constituency Glasgow Kelvin from 1987 until 2005. He was expelled from the Labour Party in October 2003 because of his strident public opposition to the Iraq War. He subsequently became a founding member of the left-wing Respect Party, and was elected as the MP for Bethnal Green and Bow in 2005. In 2010, Galloway unsuccessfully contested the seat of Poplar and Limehouse, and in 2011 he unsuccessfully contested the Glasgow list for the Scottish Parliament, before being elected as an MP in the 2012 Bradford West by-election. Galloway is well known for his campaigns in support of the Palestinians in the Israeli–Palestinian conflict. 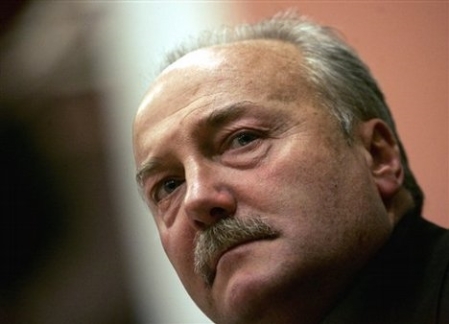 In the late-1980s Hansard records him delivering a ferocious assault on the Ba'ath regime, and Galloway opposed Saddam's regime until the United States-led Gulf War in 1991. Galloway is known for a visit to Iraq where he met Saddam Hussein, and delivered a speech, which ended in English with the statement "Sir, I salute your courage, your strength, your indefatigability." He has always stated that he was addressing the Iraqi people in the speech. 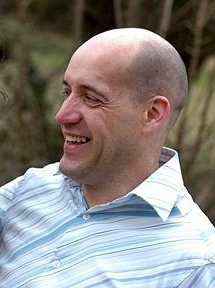 Galloway testified to the United States Senate in 2005 over alleged illicit payments from the United Nations' Oil for Food Programme. 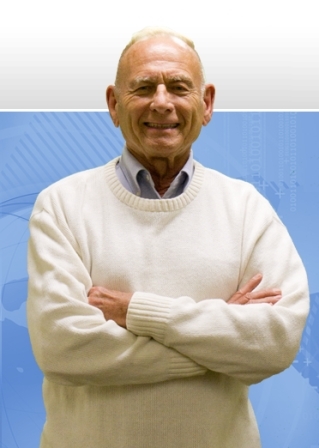 Norman Shealy is one of the world's leading experts in pain management. He was the first physician to specialize in the resolution of chronic pain. A pioneer in developing safe and effective treatments such as Biogenics, he founded, in 1971, the first comprehensive pain and stress management facility in the country, The Shealy Institute, respected world-wide for its innovative and successful rehabilitation approaches. Over the years, Dr. Shealy's intensive pain and stress management research has resulted in numerous pioneering treatments. His published works total over 325. His seminars and workshops are given worldwide, and attended by physicians and lay persons alike. He has acted as consultant to leaders in every specialty, including the personal physicians of President's Kennedy and Eisenhower. The noted English physician Dr. Francis Peabody said "The secret of the care of the patient is in caring for the patient." Dr. Shealy has long adhered to this philosophy. He once commented to a friend, "The most common symptom among humans is pain, but nobody seems to specialize in treatment of this symptom." From there, he went on to establish the Shealy Institute, a center for the treatment and research of chronic pain. This medical center has become world renown for its foresighted therapies and treatments. Dr. Shealy, now retired from clinical services, continues his research and teaching, and shares his concerns for patients and the medical profession alike with anyone who would enjoy his insight. Like Francis Peabody a century ago, Norm Shealy says today that "while the science of medicine is indispensable to the physician, it is the art of practicing medicine that heals the human body and soul." For over 4 decades, Norm Shealy as been at the forefront of Alternative Medicine and Alternative Health Care. In the mid-60's he introduced his major innovations for pain control ---Dorsal Column Stimulation (DCS) and Transcutaneous Electrical Nerve Stimulation, both now used world-wide. Shortly after that his emphasis broadened to include the vast field of Self-Regulation with the addition of biofeedback, autogenic training and his introduction of Biogenics ©, a major tool for stress reduction. Overall, Norm's work has expanded the field of Energy Medicine, using electrical, electromagnetic, mental, physical and emotional tools for health enhancement. He has been president of the International Society for the Study of Subtle Energies and Energy Medicine. His work with Caroline Myss let them to start the first doctoral program in Energy Medicine. In 2001, that work led to the establishment of Holos University Graduate Seminary. He was President of Holos University for its first 7 years and is now Professor Emeritus of Energy Medicine. Throughout his career, Norm has considered Self-Health to be the foundation for all of life. 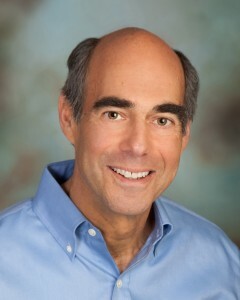 He founded Self-Health Systems in 1974, to provide tools for assisting individuals in their approach to health. 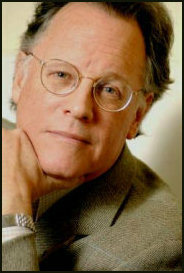 His first major book, 90 DAYS TO SELF-HEALTH sold 130,000 copies I n the mid-70's. Most recently, Norm has focused on MEDICAL RENAISSANCE THE SECRET CODE, a 90 minute DVD which demonstrates the success of a comprehensive, holistic approach to almost all illnesses. In over 30,000 patients with chronic pain and depression, his success rate of 85% is unequaled. For over 20 years his weekly radio program on KWTO in Springfield has been the most popular call-in program in the Ozarks. Norm s latest discovery is specific blends of essential oils which can effectively stimulate the circuits which enhance DHEA, oxytocin, calcitonin, and reduce free radicals. The most popular, Air BLISS is receiving rave reviews from hundreds of users. It provides detached calmness and relief from both depression and anxiety. Professor Davis’ teaching career has taken her to San Francisco State University, Mills College, and UC Berkeley. 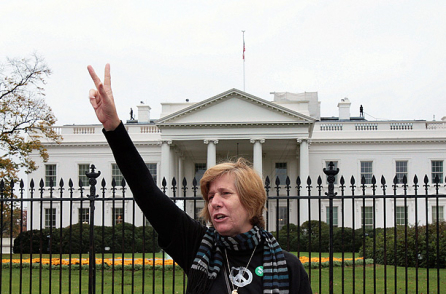 She has also taught at UCLA, Vassar, the Claremont Colleges, and Stanford University. She has spent the last fifteen years at the University of California Santa Cruz where she is Professor of History of Consciousness, an interdisciplinary Ph.D program, and Professor of Feminist Studies. Paul Davids is a film producer, writer and director whose career began as the production coordinator (and a writer) of the original TRANSFORMERS TV show. He then co-wrote six STAR WARS sequel novels in the early 1990's and then served as co-writer and executive producer of the Showtime original feature, ROSWELL, directed by Jeremy Kagan and starring Martin Sheen, Kyle MacLachlan and Dwight Yoakam, nominated for a Golden Globe as Best TV Motion Picture of 1994. He followed that controversial film with a number of independently produced controversial features from his company Yellow Hat Productions, Inc., all of which he produced and directed, including TIMOTHY LEARY'S DEAD, STARRY NIGHT, THE ARTIST & THE SHAMAN, THE SCI-FI BOYS (winner of both a Saturn Award for Best DVD and the Rondo Award for Best Independent Genre Film) and now JESUS IN INDIA. He is a graduate of Princeton University and the AFI Center for Advanced Film & Television Studies, and he has been a member of Hollywood's Magic Castle for over two decades, as well as being a member of the Writers Guild of America, the Producers Guild of America and NALIP. He is also an accomplished painter who has had many shows of his oil paintings. He is married and lives in Los Angeles and Santa Fe, New Mexico. "I suppose seeing pictures of me at 2 1/2 years old holding a guitar like I'd been playing for years, I should have known that music was my destiny." From the age of 14, he always felt best when on stage performing at local clubs. "I'd pay the other busboys to close for me so that I could play bass in the lounge for tips." At 18, Michael had a band in Prescott, Arizona called "Shogun." With Whitfield Mercer III on bass, and Mike Loomis on drums, they tore it up at the St. Michael's Underground as the house band for several months. Note the customized guitar and hand-built light show, or as they called it back then, "color organ." "The old days (70s and 80s) created the best music ever. It is timeless. That's why they put it in GuitarHero, RockBand, and on half of the TV commercials." The '80s was a big influence on Michael, and bands such as Styx, Toto, and Nightranger had a power rock sound requiring several band members. The band "SEAL" was the rock/progressive rock band of the 80s in Phoenix. It consisted of Dave Froehlich on drums, Earnie Reed on bass, Dave "Doc" Dixon on keyboards, Christine Aquilino on vocals, Russ Graves on guitar, and Michael on guitar, synths, and vocals. Christine's brother Jon Aquilino was in the Schoolboys, and IKON, which along with Surgical Steel, were the "hair metal" bands of Phoenix. Michael started with harmonica at age 8, guitar and choir at age 9, bass at 13, drums at 14, and keyboards at 20. His mixed-use of live synthesizers with guitar adds a fullness that one is used to hearing from 5 and 6 piece bands, not trios. "Element 115 really takes advantage of the multi-instrument talents of all its members." In 2007 and 2008, the band was the center of attention at the Roswell UFO Festivals. With a degree in Computer Science, and over 10 years of experience as an electrical engineer and mechanical designer, Michael always has plans for improving the wow factor of Element 115's live shows. As it is, it takes the band 4 or 5 hours to set up the full show (video wall, PA, towers, trusses, robotic lights), and 2 more hours to take it down. A Holographic AL 3.0 is in the design phase now. "I can relate to Tom Scholz of Boston. He has had his own studio since the late '60s, plays all the instruments, and writes melodic parts which still rock! I wish I could play the Hammond organ as well as he does." If you haven't seen Michael or Jess play guitar with one hand, and keyboard with the other, then be sure to check out "Hot Cars" in the video section of the web site. "People often ask why I created an ALIEN drummer. I just wanted to take diversity to another level. Aliens would love to jam on some good ol' rock 'n roll if it weren't for the MIB's busting their chops!" There is a more serious side to the alien connection with Michael, however. "Having been 'abducted' in my own house by five really tall slightly large-eyed aliens, I know first hand that our government is covering up the truth when it comes to alien life here on Earth. I was not hurt or probed (to the best of my recollection) but they did let me know how much they appreciated my sense of humor. All communication was telepathic, and to this day I have conflicting sources as to why I was visited, Carla was numbed, and I was allowed to remember some part of the event. "I've known from as young as I can remember, and telling my little brother when he was about 3 and I was 7 or 8, that I wasn't from this planet. I remember wanting to tell everybody, but confiding only to my brother. I drew pictures of the world and its moon (which became the new world). I feel that I've been visited from the time I was younger than 2, and I displayed an acute ability to apply logic and mathematics even back then." The band's music often includes a view on a song's topic from an alien perspective. Element 115 focuses on not only presenting a situation or question, but also on providing potential solutions. Michael's musical influences include Boston, Def Leppard, the Monkees, Van Halen, the Doobie Brothers, Yes, Aerosmith, Steelheart, Stryper, the writer of Greensleeves, and all the classical music used in Warner Brothers cartoons. 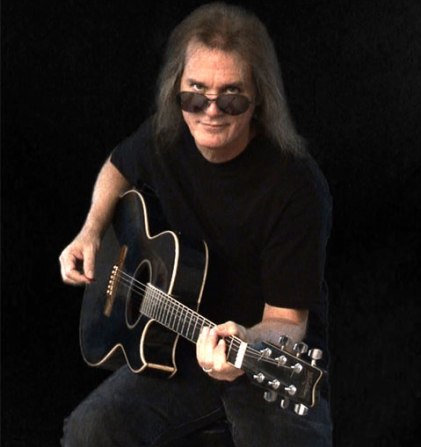 His stage show influences include KISS, the Tubes, Pink Floyd, and Queen. Dr. Rob Ivker is a physician healer, health educator, and best-selling author. He is a board-certified holistic physician (ABIHM), a Fellow of the American Academy of Family Physicians, and healing touch certified practitioner (HTCP). He has been practicing medicine since 1972. 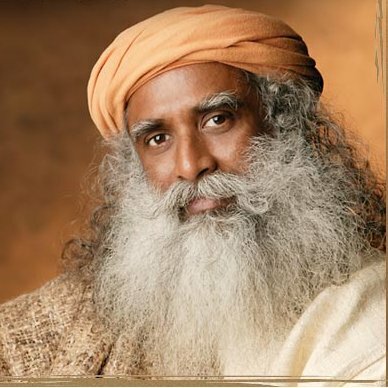 For the past 20 years, after curing his own chronic sinus condition, his holistic medical practice has focused on the treatment of respiratory disease – chronic sinusitis, asthma, and allergies – and the creation of optimal health. 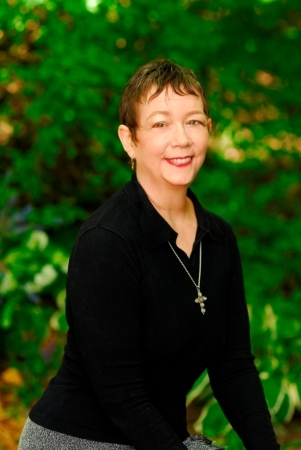 Dr. Ivker is the Co-Founder and Past-President of the American Board of Integrative Holistic Medicine (ABIHM); co-creator of the Annual ABIHM Review Course, ABIHM certification examination, and the ABIHM evidence-based curriculum. He is also a Past-President of the American Holistic Medical Association (AHMA). Dr. Ivker is a former Assistant Clinical Professor in the Department of Family Medicine and is currently a Clinical Instructor in the Department of Otolaryngology at the University of Colorado’s School of Medicine. He is the current Medical Director of The Respiratory Healer Network as well as the Chief Medical Officer for Fully Alive Medicine (FAM). He is the author of four editions of the best-selling SINUS SURVIVAL: The Holistic Medical Treatment for Sinusitis, Allergies, and Colds. Dr. Ivker has also written six other books including Asthma Survival, Arthritis Survival, Headache Survival, Backache Survival, The Complete Self-Care Guide to Holistic Medicine, and Thriving: The Holistic Guide to Optimal Health for Men. Married for 42 years to Harriet, a psychiatric social worker, they have two daughters and sons-in-law and four grandchildren. They live in Littleton, CO.
Paul Rees (and Wife Deborah Rees) have been awarded with one of the most prestigious awards given within the USA and Canadian spiritualist movement: The honorary ministers certificates for the spiritual education given to others, presented to them for their excellence of service. They believe that any demonstration should incorporate proof of survival, and that is what they do best—giving peace to people in the knowledge that those they love, not only live on, but are still around them, always.